Brahma Vidya or the Science of Sciences that enables man to know the very source of Knowledge itself as Sri Swami Sivanandaji puts it, is the precious legacy which the sages of yore have left behind them. It is truly a divine light that enables us to see within ourselves, to direct our gaze into the darkest corners of our own inner personality, and piercing through the veil of ignorance, to rely the Light of lights that we are in truth. 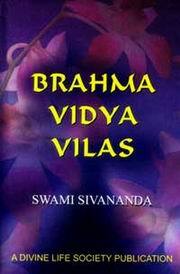 Brahma Vidya enables us to lead a better and more fruitful life here, a life of harmony, love, service, peace and joy. That Brahma Vidya Sri Swami Sivanandaji Maharaj has presented in the form of delightful Plays in this volume.